American Horror Story is still teasing at their upcoming season, this time releasing small glimpses at characters old and new in a short trailer. The eighth installation of the Ryan Murphy anthology will be set in the near future, featuring returning characters from fan favourite series’ Murder House and Coven. 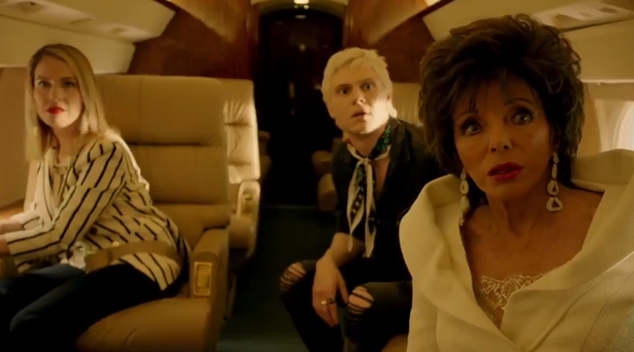 The trailer opens on newcomer Dame Joan Collins, and returning actors Evan Peters and Leslie Grossman as new characters, apparently in a plane crash. The short clip also shows Frances Conroy, Dylan McDermott, Sarah Paulson, Taissa Farmiga, Emma Roberts and the incredible Jessica Lange returning to their roles from seasons 1 and 3. It appears Farmiga, Peters and Paulson will all be playing multiple characters, appearing as past characters from multiple seasons – as well as brand new characters in this apocalyptic era. Check out the clip below. American Horror Story: Apocalypse debuts in the US on September 12.